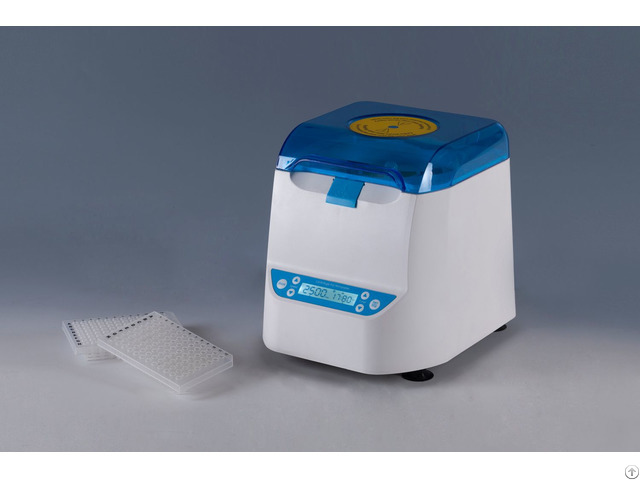 MPC2800 is designed for quick spins of samples in PCR plates. Primarily designed for use with 96 or 384 well plates and small volumes, it will accommodate skirted, non skirted and semi skirted styles.  Easy to use, real-time display of all operating information.  DC brushless motor, low noise, small interference, maintenance-free.  When opening the cap will automatically stop running.  Fast acceleration from standstill to maximum speed fully in just 10 sec.  Braking time is short, from the highest speed to a complete standstill in just 4 sec. Our products include incubators, biological indications, micro centrifuge, gas blowing concentrators, sterilizers and in situ hybridizations. In the process of communication with clients, both products and service are belauded. At the same time, we offer OEM to clients to satisfy different demands as well.